The message below is from Maine Teachers of the Year, Shelly Moody (2011) and Kaitlin Young (2018). They’re following through with an initiative that Kevin Grover started before he died in 2012. Kevin at the surprise announcement for the 2010 Maine Teacher of the Year. 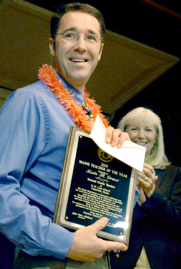 Many of you may not have had the pleasure of meeting Kevin Grover, our 2010 Maine Teacher of the Year. Kevin made a connection with every person who was fortunate to cross his path. He had a deep commitment and love of teaching that inspired all of us who were blessed to know him. Kevin created “Bring Your Legislator to School Week” with a goal of engaging, enlightening and informing policy makers from our local or state government. 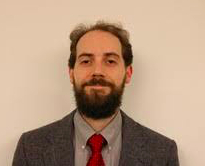 His intent was to provide school board members and legislators with a better understanding of how their decisions affect learners and educators across the state of Maine. 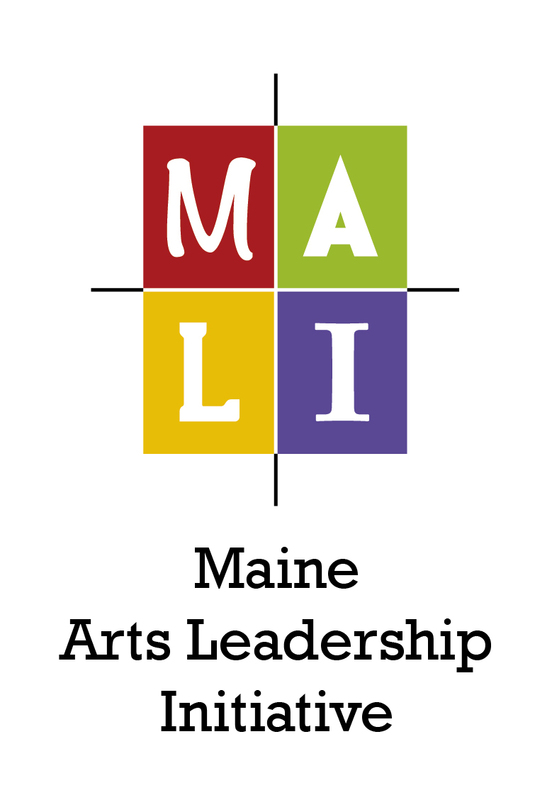 In 2013, Representative Mary Nelson of Falmouth and Educate Maine moved forward with Kevin’s vision by sponsoring LD 822 in his honor. Although it has been almost 6 years since LD822 established January as Invite Your Legislator to School Month, the Maine State Teacher of the Year Association believes that that it’s time for us to return to Kevin’s vision. Our goal is to begin an annual tradition of inviting stakeholders into our schools to meet with teachers, administrators, and students. It is our hope that this experience will strengthen the relationships between all parties, promote increased knowledge, and initiate productive conversation surrounding prekindergarten to grade twelve public education programs. 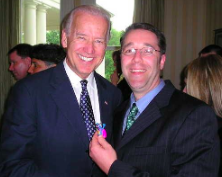 Yes, that’s Grover in the photo with Kevin and Vice-President Joe Biden during a visit to Washington, D.C. as the 2010 Maine Teacher of the Year. I propose that teachers contact local town councilors, school board members, state representatives and federal representatives. Elected officials should be invited to spend at least one hour in a classroom helping and/or observing. It is not a time for a panel discussion, whole school assemblies in honor of prestigious guests or catered lunches, it is time for sitting in on a math lesson, reading to students, or joining teachers on their 20 minute lunch break at the photocopier. It is time for a dose of reality. Let’s join together and start 2019 by building bridges with the decision makers who impact our students and schools! For more information, please visit our Invite Your Legislator to School Month collection of resources and/or resources from our session presentations at ECET2ME and MEA Fall Conference! CLICK HERE to find your Senator or Representative. 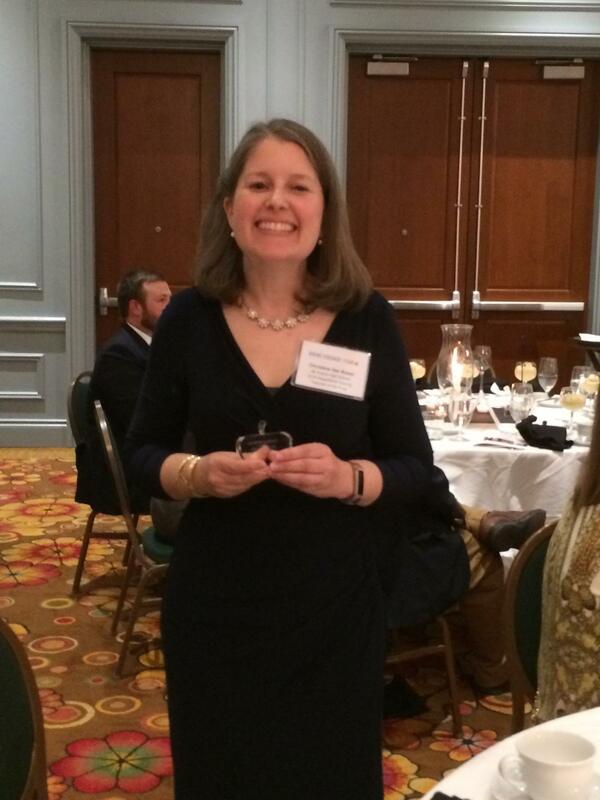 I’ve been fortunate to attend many of the gatherings naming the Maine Teacher of the Year. I traveled to Piscataquis Community High School in the middle of October for the formal announcement of Joseph Hennessey, an English teacher. The school student body, teachers, and community are proud of Joe and excited about the next several months and what he will experience. I’m sure you share in my pride of having a music educator representing educators during 2018. Kaitlin Young from Sedomocha School in Dover-Foxcroft continues being an amazing ambassador! In spite of her responsibilities out of the classroom she has continued to learn and grow as a teacher for her students and school community. The opportunity became clear as I listened to her during formal presentations at two conferences earlier this month. The Maine Teacher of the Year represents all that is good and right in education – they are not THE best teacher but they are exemplary and provide their voice and represent educators in Maine and throughout the country during their “year” as Teacher of the Year. I was very inspired by Mr. Hennessey’s “thank you” at the school assembly and have printed it below. You can read more in the Bangor Daily News article from October 13-14, 2018. 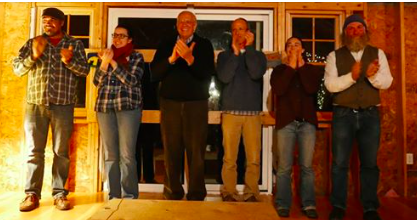 “This process began last February when I was notified of my nomination for the Piscataquis County Teacher of the Year, which was humbling in itself,” he said. “There are many talented people working very hard in this part of the state who never received that recognition, and there was much for me to process as a result. 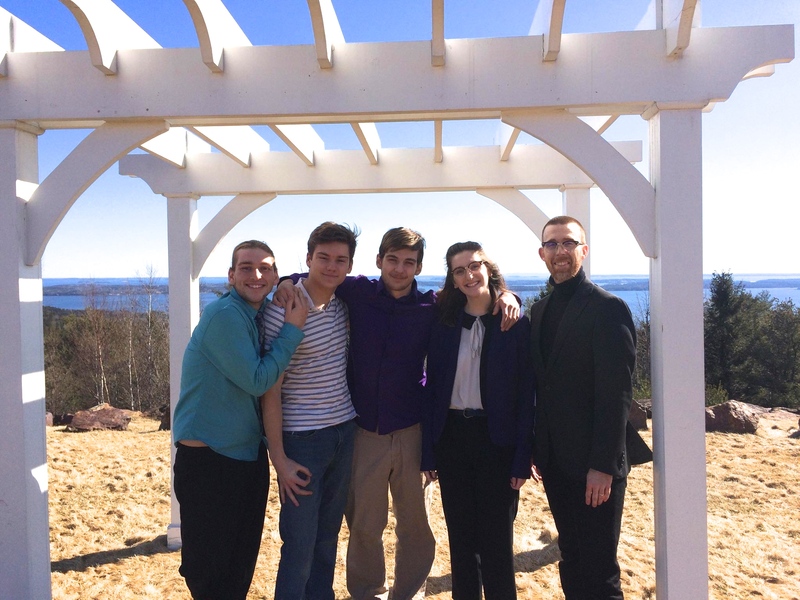 “By the time I was selected as the 2018 Piscataquis County Teacher of the Year I had written four essays expounding the virtues of my colleagues, the commitment of our community to its young people, and the tremendous efforts of my students to better themselves through close writing and critical thinking. Hennessey said as a semifinalist, “I had offered the committee a window into my classroom where your efforts were on display and I acted as a guide. It was nothing more or less than what we undertake every day and every class period across every subject, and as a result of that window I was able to give a presentation at the University of Maine which discussed chronic absenteeism and highlighted some of the programs this school offers to try address that issue. “Whether it is offering after-school RTI or giving students rides home, partnering with Tri-County Technical Center to help students position themselves for career success, or implementing a student success team or academic council, my message was the adults here are committed to your individual and collective success. Apparently the selection committee was moved by our situation. 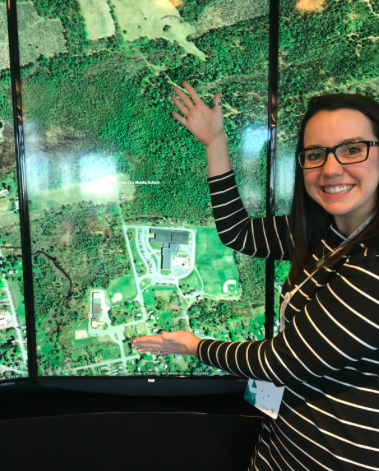 “By the time I was selected as a finalist for the Maine Teacher of the Year, the selection committee wanted to visit our school to better understand what it is about this community that places someone like me in a position to succeed. Furthermore I interviewed with various stakeholders at the department of education to express my views on education, my philosophical tenets, and my personal and professional commitments, all of which are informed by working with all of you every day. We live and we learn together. 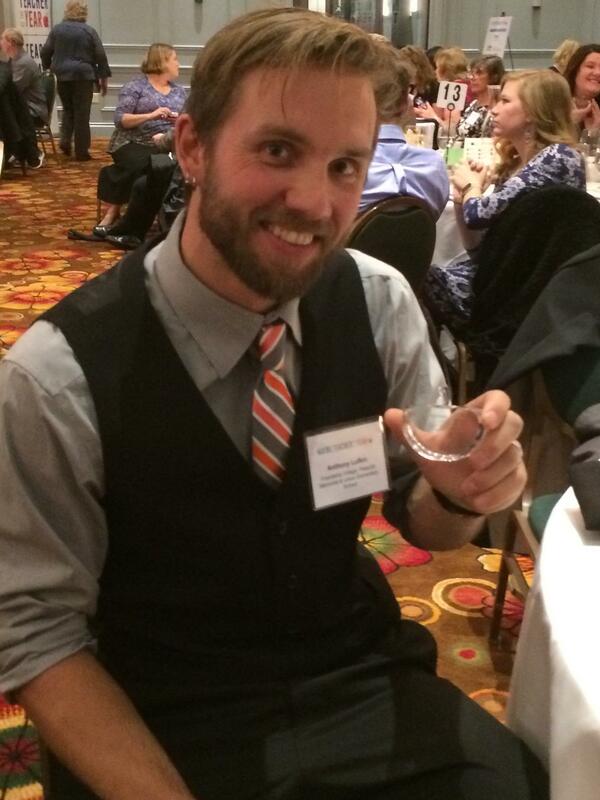 “Today after all of the reading and the writing, the speaking, and the reflecting, I find myself named as the 2019 Maine Teacher of the Year as an English literature teacher from Piscataquis Community High School in Guilford, Maine. It is an honor that I will cherish for the rest of my career and beyond. But I cannot overemphasize that I am in this position of distinction because of this community. Thus I think the question of what makes this community special is an ongoing point of reflection. What does this recognition mean for us now, and what does it mean for the future? “Over the coming year I will have the ability to share with others what we have to offer and vice-versa. So what are the things that make us most proud; what barriers to access and success frustrate us the most; and how is it that people coming from six different towns representing a physical area bigger than downtown Portland are able to come together to create a community where everyone is welcome, supported, and feels as though their opinions and actions matter? Those are some of the tasks that we have before us, and I am honored and humbled to have this opportunity to articulate to others through this platform. Yesterday in Augusta at a Hall of Flags ceremony in the State House the 2018 County Teachers of the Year were announced. Among the group were 3 arts teachers out of 16! How cool is that – 2 visual art teachers and 1 music teacher. The Arts are well represented and we as arts educators have so much to be proud of. There were 350 teachers nominated statewide. Please join me in CONGRATULATING the following arts educators. I’m so proud to know these teachers. All three have taken leadership roles. 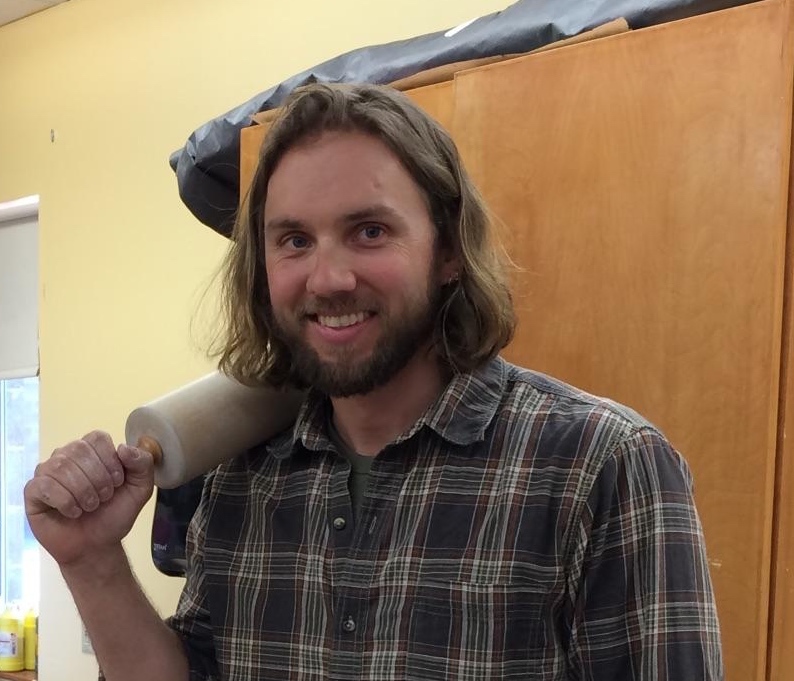 Anthony has worked closely with MALI teaching artist leader Tim Christensen. David is a MALI Teacher Leader joining the initiative in August 2017. Christine has been on the MAEA board member for several years. WABI TV5 was there covering the event which you can view HERE. 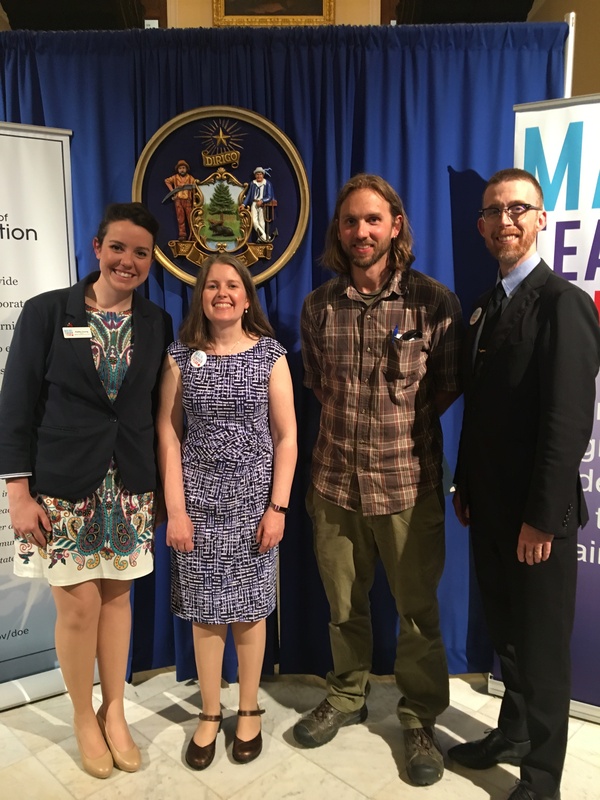 The 2018 Maine State Teacher of the Year, music educator Kaitlin Young, from SeDoMoCha School in Dover Foxcroft was there to to congratulate the educators and is on the TV clip. Kaitlin is a wonderful ambassador for all Maine teachers. 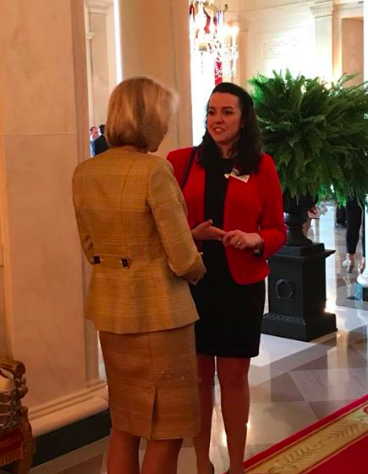 Recently she traveled to Washington D.C. to meet the other state Teachers of the Year and for a ceremony in the Rose Garden at the White House. Thank you Kaitlin for representing all of us! So proud of you! 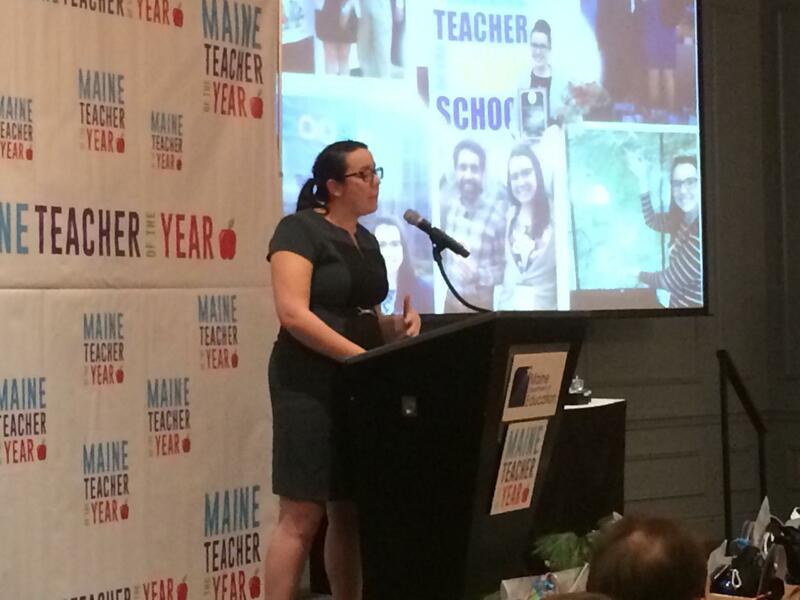 One of the 16 county teachers of the year will become the 2019 Maine Teacher of the Year. 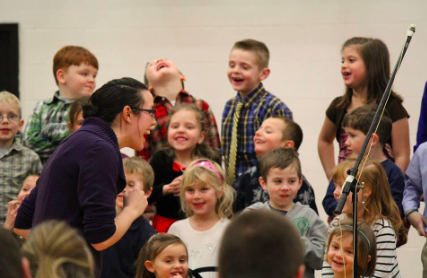 Wouldn’t it be great if Kaitlin was followed by another visual or performing arts educator? !